Air pollution can affect your scalp whether you live in the big city or not. It can impact your scalp's sebum secretion rate, clogging follicles and weakening hair strands which then become prone to breakage. Without the right protection, hair will become dry and brittle over time. Turn to the Grow Gorgeous Protect range, which is brimming with antioxidant properties to protect scalps and reinforce cells for repaired and stronger hair fibres. 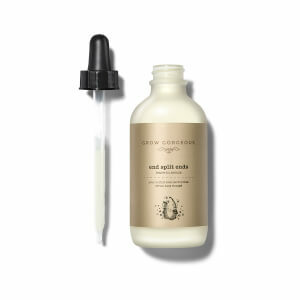 Don't miss th eEnd Split Ends serum, a cocktail of nourishing and protective ingredients such as acai oil, to 'seal' split ends and shield them from air pollution and chemical and heat exposure.